Explore the concept of flight in this interactive science workshop. Learn about how science is used to achieve flight. Examine the importance of airflow and aerodynamics. 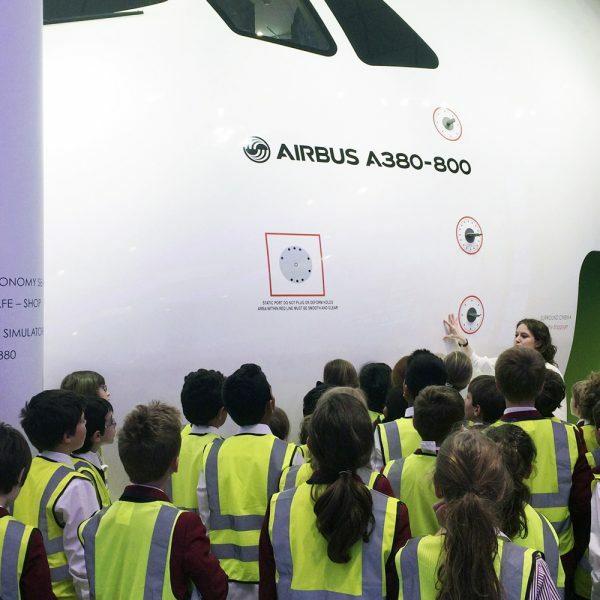 Discover why aircraft are designed the way they are by analysing a replica A380 aircraft and a real Rolls-Royce jet engine. Finally see the forces of flight in action.